How to manage inventory barcode in Magento 2 POS? Inventory management POS is one of the major concerns of the offline and online stores. Using the Point of Sale Barcode Inventory for Magento 2 it is easy for the store owner to manage the product inventory. 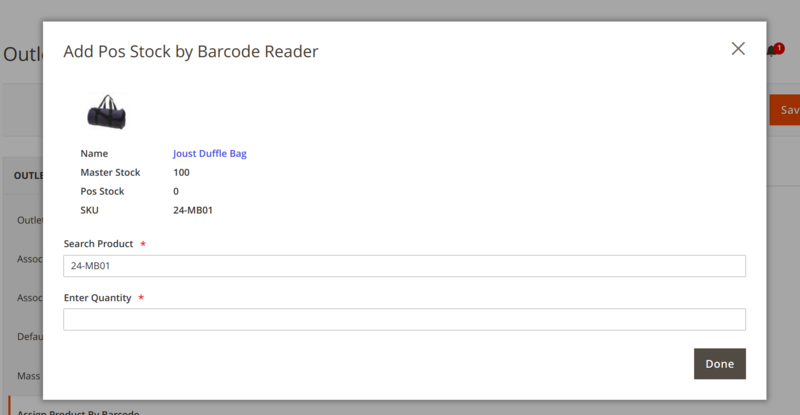 On choosing “Assign by Barcode”, the admin can assign the product quantity using a barcode reader in the admin panel. The admin shall receive a success message on the successful assignment of the products as shown in the image below. Thereafter, the admin can view the assigned quantity of product in ‘Associated Products Individually’ section in the admin panel.